An individual study on various marble patterns. 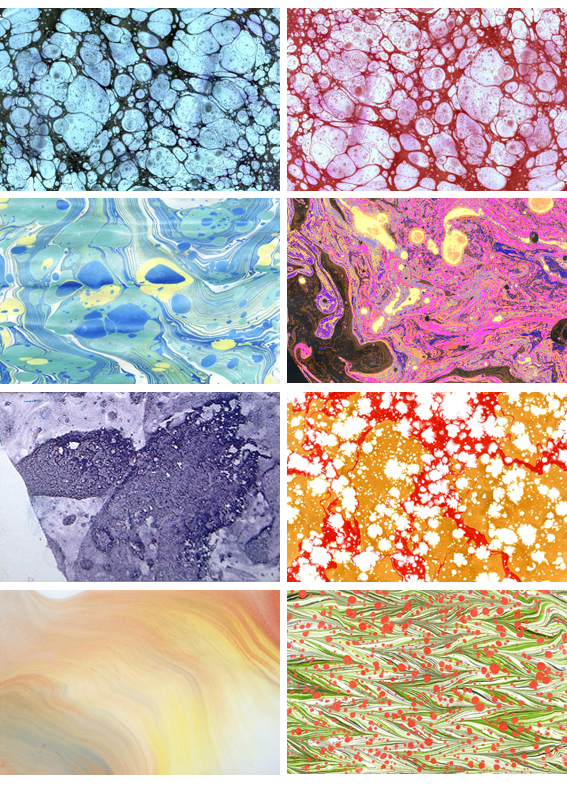 By using the marbling techniques, I was able to create a number of graphic designs. I was able to change the color of each source and combine them into various patterns. Through this work, I was able to carry on an in-depth study on visual diversity. You can see a bird in this marbling work! 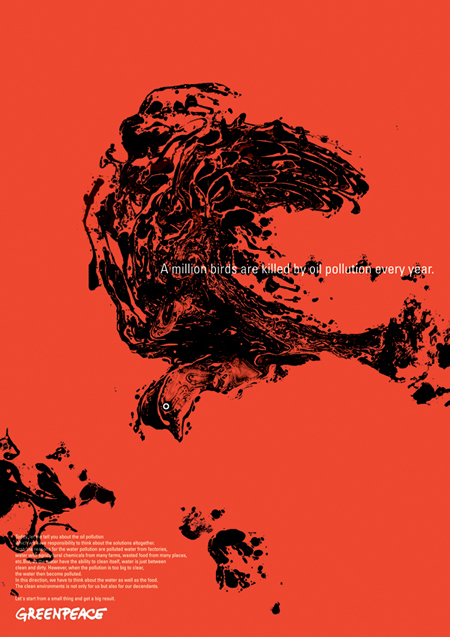 I designed an advertising poster for protection of birds from oil pollution by using a bird image from one of my marbling works. The marbling bird is such a good source for expressing birds died by oil pollution.